This is Part Six of my week-long celebration of eggs. Today, finally, I mix eggs and alcohol. My personal foreign policy requires me to stay out of other nations’ conflicts, particularly Latin American disputes. So, with that in mind, it is with some nervousness that I write this entry. To make matters worse, I risk wading into one of the most contentious conflicts in South America: who makes the better pisco sour, Peruvians or Chileans? Pisco is a liquor distilled from wine. It was first made in….let’s just say, somewhere down there, and is the signature ingredient in pisco sours, a cocktail widely consumed in (alphabetically) Bolivia, Chile and Peru. The sourness comes from limes or lemons, and is countered with sugar. If the Chileans and Peruvians ever really did go to war over pisco sours, they could fight shouting “Don’t shoot until you see the whites of their eggs,” because it is the foamy egg white on top that really makes this drink distinctive. All I can say to my Peruvian readers is this: If a genuine Peruvian ever makes me a genuine Peruvian pisco sour I will drink that too (some singing might be required). Shake ingredients very well and strain into 4 glasses. Top with a splash of bitters. This entry was posted in Drinks and tagged bitters, Chile, cocktail, egg, egg whites, lemon, lemon juice, lime, lime juice, Peru, Pisco, pisco sour, sugar. Bookmark the permalink. Hilarious! Really must hear that duck song. I’ve only had the Peruvian variety. Love ’em! Ha ha ha… I appreciate reading your careful post on the subject. I am Peruvian and I will go easy with you on this one especially since I see you have been mislead a little. I don’t know how aware you are about the HUGE difference in distillation between Chile’s and Peru’s pisco. When you realize what it is it becomes clear which one is more “special”. Peru’s pisco is the only spirit in the world that is what is called “distilled to proof,” meaning it comes out at desired alcohol content from ONE distillation only. Moreso, this is done without adding sugar, or watering down like almost every spirit out there including Chilean pisco. Peruvian pisco is also UNAGED, therefore no color. I am sure you know by now that Chilean pisco is aged, probably to hide the bad quality of a spirit that is usually triple distilled.. By the time you get to a third distillation it might as well just be rubbing alcohol or Vodka.. yuk!.. I will leave that with you so you can ponder over that one for a minute. There is a reason why the worlds top bartenders and foodies prefer the Peruvian spirit, it is finer in quality. Pisco is a place in Peru in the Ica valley where they first successfully grew the quebranta grape, the oldest variety in SA.. I will stop there too. Pisco Elqui in Chile is was renamed “pisco elqui” in 1938 to try and lay claim to the pisco origin… lame.. Pisco Peru has been Pisco Peru since before the Inca empire existed and it just happened to be the main colonial port when Pisco was considered to be the capital of the New World, instead it was moved to Lima. I will stop there, I could write you a damn book.. actually my friend has.. If you want to actually read history on the subject, which a Chilean brother really can’t provide, google Guillermo Toro Lira, he is a dedicated Pisco historian who has written books on the subject. The so called Chilean experts don’t really have much to say, they always get stumped when it comes to a real discussion. I have faith that you will come the same conclusion that most industry folks already know.. Pisco does not only originally come from Peru, but the quality is supreme and unique in its method of elaboration. 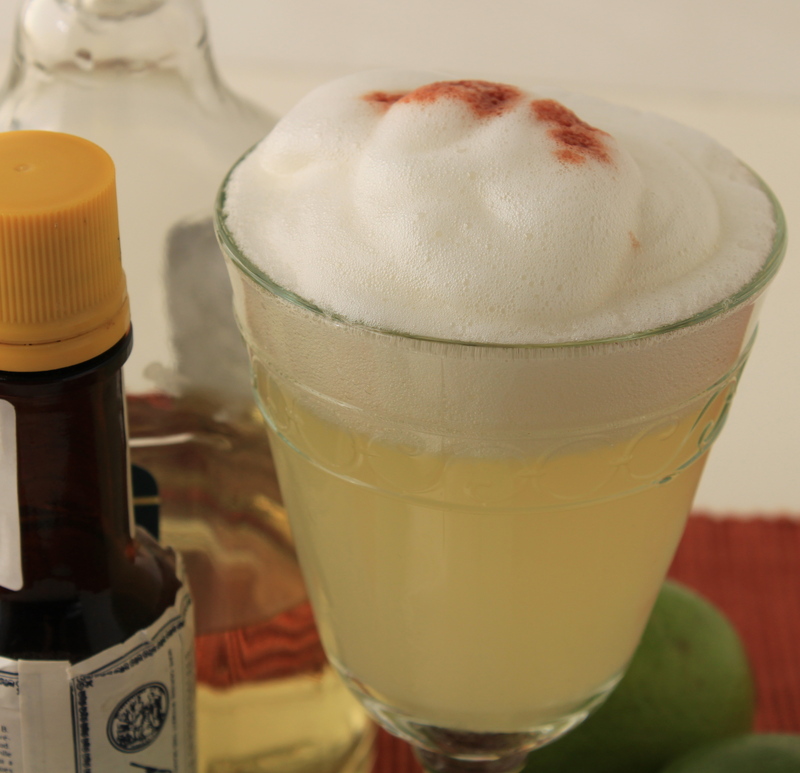 Peruvian Pisco sours are tastier and many Chileans already know this.. Thanks, Miguel, I appreciate getting a Peruvian point of view on this: I think the United Nations should set up a special commission to get this sorted out! Good try, Scott. You should have started from the beginning, and tasted your recipe with both piscos before giving your advice so u still have time to go find a real Pisco and prepare a good Pisco Sour. You will understand better why Peruvians are so ready to defend the origin of our Pisco and cocktail Pisco sour. FYI, I went to Chile last January (BTW, I am really concerned about the latest news after the earthquake, I have good friends in Chile) and I asked a Pisco sour in a good and chick restaurant in La Serena, a small city near Elqui where Chileans produce their spirits. Let me confirm you what your other Peruvian reader posted, in their menu, they have 2 kinds of Pisco sour: A Pisco sour and and Pisco sour Peruvian style (but unfortunately with Chilean grape spirit) and you know what? Their Pisco sour recipe does not include white egg. So you should tell to your Chilean friend, that he is following or taking someone else recipe, once again!!! I could explain you why our grape spirits are so different, but I understand that your main topic is not spirits but eggs. Thank you. I will try some Peruvian pisco any time!